Knowledge and Skill Competencies Sought. A Brief Background Synopsis on the History of Science: from Aristotle, Descartes and Locke to the Scientific Method. 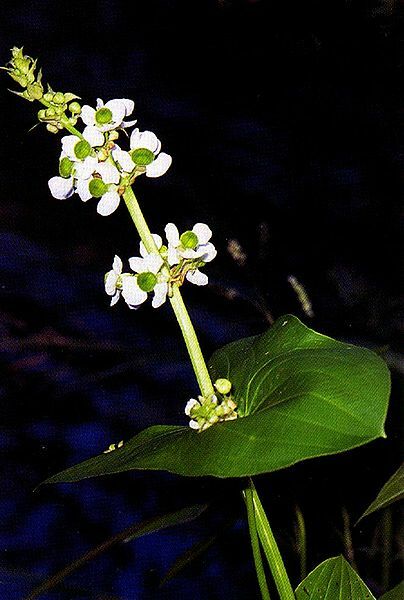 Background on the Biology and on the Ecology of Sagittaria latifolia. State of Idaho High School Content Standards: Natural Science. 1. Introduction and Objectives. The primary goal of this lesson plan is to have your students gain a competency in a scientific investigation of Sagittaria latifolia. The lesson plan will provide a brief history of the development of science, and a review of the scientific method. In the two learning activities provided in this lesson plan, the scientific method will be applied, in a hands-on, experiential approach, to a synchronic study of Sagittaria latifolia, i.e., on the nature of its biology and its ecology during its yearly cycle, and to a diachronic study, i.e., on the nature of the effects of a changing climate on this plant and its ecosystem over time. This curriculum is designed to be used by the Coeur d’Alene Tribe, the Northwest Climate Science Center, and colleges and universities throughout the country. The appropriate grade levels are intended for seniors in high school, and first/second year students in college. There is no prerequisite knowledge necessary to fully engage this curriculum, other than general mastery of age-appropriate skills in reading, writing, math, and critical and creative thinking. 2. Knowledge and Skill Competencies Sought These are competencies linked to the Idaho State Content Standards for a high school senior. Understand Concepts and Processes of Evidence, Models, and Explanations: Use observations and gather data as evidence on which to base scientific explanations. Understand Constancy, Change, and Measurement: In a scientifically-defined “system” study, measure changes that can occur in and among systems. Understand Common Environmental Quality Issues, Both Natural and Human Induced: Analyze environmental issues such as water and air quality, hazardous waste, forest health, and agricultural production. Understand the Importance of Natural Resources and the Need to Manage and Conserve Them: Describe the difference between renewable and nonrenewable resources. 3. A Brief Background Synopsis of the History of Science. The etymology of the word “science” is from the Latin sciō “I can, know, understand,” which in turn, derives from the Proto-Indo-European *skey- “to split, to dissect.” Its contemporary meanings and applications have had a long history of evolution, beginning with such European philosophers and observers of nature, as Pythagoras (580-497 BCE), Aristotle (384 – 322 BCE), René Descartes (1596 – 1650), and John Locke (1632 – 1704), along with others. While much more nuanced than suggested here, science as a discipline of study and knowledge is ultimately premised on two quintessential sets of ontological (what is considered real) and epistemological (how we come to know what is real) principles, Aristotelian materialism and Cartesian dualism (Frey and et alia 2014). Science it perhaps best expressed in and applied as the scientific method. To effectively apply the scientific method necessitates an appreciation of its historical context and development, and like all forms of epistemology (ways of knowing what is considered real), "science" is understood as a symbolic construction of culminating and ongoing human thought and experiences. Aristotelian materialism and Cartesian dualism are not embedded in hnkhwelkhwlnet. See the hnkhwelkhwlnet and TK/TEK unit of this module. Aristotle. To illustrate the influence of but two, albeit two pivotal contributors of the many instrumental to the development of science, let’s first start with a glimpse into the story of Aristotle. From his detailed observations made off the island of Lesbos and other areas in the Aegean Sea, Aristotle recorded some of the most accurate and early descriptions of aquatic life, including the catfish, angler-fish, paper nautilus and octopus. He was among the first to classify fish distinct from the mammal species. While discredited until its rediscovery in the 19th century, his account of the hectocotryl arm of the octopus was two thousand years ahead of its time. 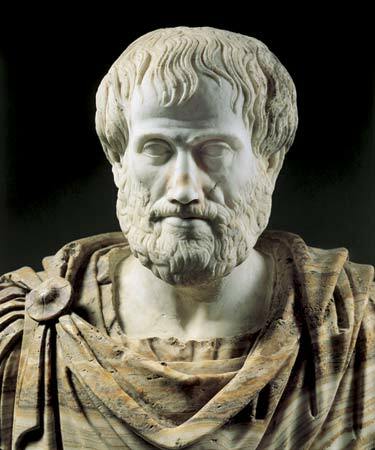 While searching for “universal forms” like his teacher, Aristotle diverged from Plato (427-347 BC) in locating the universal in the particular concrete entities existing in the observable natural world. Plato had argued that universals existed as Forms or “ideas,” distinct from particular material things, as models or archetypes of those objects. As illustrated in Plato’s allegory of the cave, our protagonist, while chained within the cave, understands that which is directly observable and reflected on its walls to be what is real. But upon being freed from the chains and encountering the bright sun outside the cave, what had been thought to be reality is now revealed to be a mere reflection, an illusion, derived of the sun’s light and the Forms casting shadows on the walls. The great truth of the Forms is realized. On the other hand, Aristotle insisted that universal Forms were encapsulated intrinsically within the tangible. If a universal could not be predicated in an object, argued Aristotle, as for example observed in an octopus, surely it could not exist. Forms remain the unconditional basis for all overt phenomena, accessible through the observable, in essence, what are to be found on the walls of the cave. Aristotle’s approach to universals and the particulars, his methodology, implies an ascent from particular phenomena to the knowledge of their ultimate attributes and Forms, an inductive approach. Plato stressed the opposite approach to methodology, a descent from a priori knowledge of universal Forms to a contemplation of particular imitations of these, in essence a deductive approach. While Aristotle’s “natural philosophy” certainly included rigorous philosophical-based inquiry as well as politics and poetry and other fine arts, it also was the critical first step toward becoming what we would refer to as material reductionism and John Locke’s (1632-1704) inductive empiricism and, in this sense, anticipating the scientific method of today. Among his many works that have had such an impact on Western Civilization, his Nicomanchean Ethics is widely considered one of the most important historical philosophical works, influencing a range of subsequent thinkers such as Thomas Aquinas (1225-1274) and the development of Christianity, Niccolò Machiavelli (1469-1527) and the foundations of modern political science, and Francis Bacon (1561- 1626) and Thomas Hobbes (1588-1679) and the beginnings of modernity itself. Descartes. 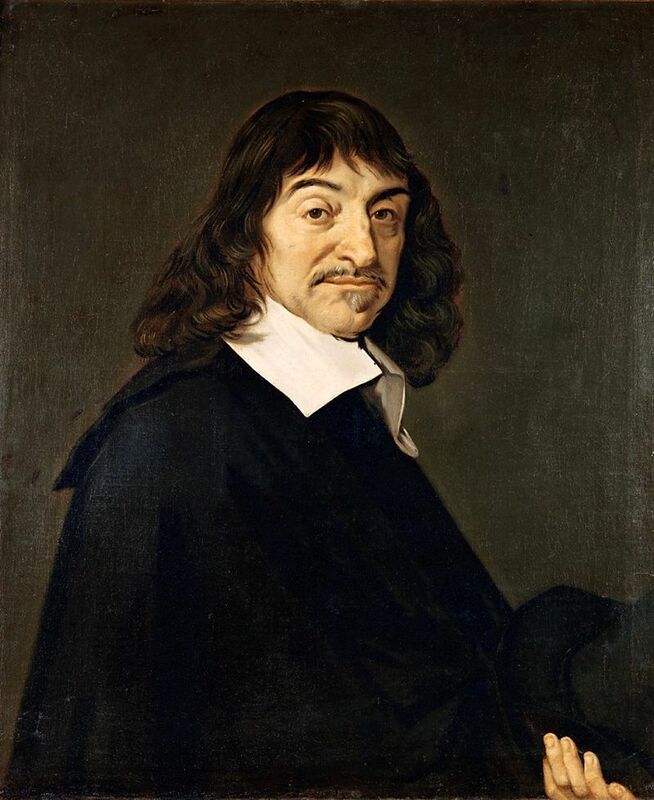 René Descartes (1597-1659) adds another plot or two to our story, approaching what is knowable from quite a different stance than that of Aristotle and John Locke. Yet these are contributions to our story that are not only complimentary, but essential to the overall story of science, as we have come to know it today. For this French philosopher he starts with the assertion that we as humans have ultimate knowledge of our own existence because we are thinking beings – cogito ergo sum – "I think, therefore I am." The foundation of knowledge consists of a set of first, “self-evident” principles, a priori principles. The mind is not an empty cabinet, a “blank slate,” but filled with universal, though not readily knowable, principles. For Descartes, access to these first principles is not based on “the fluctuating testimony of the senses,” on empiricism, nor is it contingent on the “blundering constructions of imagination,” on aesthetic or spiritual awareness. He distrusted sensory evidence as much as he avoided any undisciplined flirtations of thought. The first principles are those anchored on “conception which an unclouded and attentive mind gives,” on conception “wholly freed from doubt,” principles derived from clear and logical thought. One can even begin with a set of assumptions that are only hypothetically true, all of which need not be verified by observation, need not exist in fact. They need only be hypothetically correct. Keeping to our oceanic examples, one can hypothesize that a shark is a fish structured for rapid, agile swimming. This assertion need not be proved empirically. From these first principles, other truths can be deduced by a meticulous application of logical rules and axioms. Mathematically-rigorous formulas can be applied in order to arrive at conclusions. If one designs a human submergible as a “shark,” it logically follows that the submarine would likewise be rapid and agile. Knowledge is not so much what corresponds to experience, as it is a coherency within and among their principles and deduced statements. And so the deductive and rational methods are born, their strength and legitimacy residing in their ability to objectively think about the natural world and deduce statements of truth about that world. Descartes published his approach to knowledge in 1637, in Discourse on Method. René Descartes made another important contribution to the unfolding story of science. Descartes reasoned that if the mind is capable of clear, objective thinking, then it cannot ultimately be reducible to the influences of the material world. “Mind” and “matter” are the basic constituents of the universe. The defining characteristic of “matter” is extension and movement, i.e., the possession of dimension such as time or space. The defining characteristic of “mind” is thought, i.e., the activity of thinking. Regardless of the way “matter” is extended, e.g., straight or curved, it must be extended. Regardless of the way “mind” thinks, e.g., abstracting or imagining, it must think. Each is absolutely different from the other, requiring nothing but itself to exist. Neither has the properties of the other, nor is causal of the other, and neither is reducible to the other, yet all in the universe is reducible to one or the other, to either “mind” or “matter.” Cartesian Dualism thus adheres to the understanding that the natural world of “matter” is independent of the “mind,” and, conversely, that the “mind” is independent of the “natural world.” Objectivity is possible. The world of the “other” and of “man” himself has become “objects,” for study, in which independent ideas and symbolic representations of them are possible – scientific hypothesis and theory. The “science of man” was ushered forth. Locke. 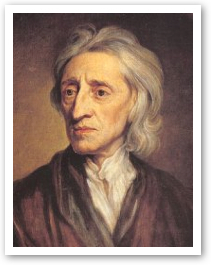 The English philosopher, John Locke (1632-1704), stated, in Essay concerning Human Understanding, that the mind is as a "white paper, void of all characters, without ideas," like an "empty cabinet," as yet unfurnished. The mind is tabula rasa, a blank slate. The material to furnish the cabinet is the knowledge that comes from experience. For Locke, all knowledge is founded on observation, through the senses. And so is founded the empirical method, i.e., "relating to experience." Knowledge is the precise correspondence between what is observed by the human senses and what exists in the natural world. The world Locke is referring to is the natural world of what would be defined as physics, chemistry, biology, psychology and sociology. It is a world that exists independent of the mind, with its own structures and governed by its own processes, all of which can be discovered through rigorous observation. The empiricist begins with observations of the natural world. These observations must be controlled, objective, verifiable and replicative. Subjectivity and affectivity must be kept out. The observations are based on those senses that can be controlled and objective, i.e., sight, sound, smell, touch and taste. The empiricist then forms a hypothesis that attempts to account for the observations. The process is called induction, i.e., reasoning from a limited number of observations to a conclusion or hypothesis. From the hypothesis, testing begins. Deliberate, systematic experimentation and extensive observation now occur to discover if the hypothesis is indeed correct or needing revision. The hypothesis is tested. The attempt is to verify what was originally observed. Replication is the criteria for verification. If a reasonable verification results, the empiricist then ventures a prediction of what will be discovered under similar natural circumstances. The strength and legitimacy of the empirical method is its ability to predict what occurs in the natural world. The evolving story of science continues with other great men and their contributions, such as that of Galileo Galilei (1564-1642). Following the lead of Pythagoras and looking into the heavens, Galileo placed an emphasis on observable, quantifiable variables and their relationships, a reality of discrete numerically-based chucks, i.e., statistics – “the language of nature is numbers.” Continuing the story of rigorous observations, Isaac Newton (1642-1727) sought to establish universal generalizations – “laws” to describe, explain, predict and ultimately control the natural world – the “laws of motion.” As the unfolding narrative sought to bring maximum benefit to human welfare, Francis Bacon (1561-1626) and his utilitarianism, articulated a science that ultimately holds the keys to unlocking the power of nature over nature. Collectively all these stories bring forth the scientific method, of a dualism that separates us from nature so that we can understand it, predict it, and ultimately control nature. Of “pure” and “applied” sciences, seeking to improve our comprehension of the subatomic and astronomic, and advance the condition of human health and wellbeing. Science is thus most often associated with rational-deductive and empirical-inductive modes of thought, all premised on certain ontological principles, such as the mind/body dualism and objectification, material reductionism, and quantification of that material. Acknowledging other avenues of development and expression, much of science can be equated operating within the broad sweep of what is known as the "positivist paradigm." In this paradigm, reality is ultimately “understood” as separate and apart from the viewer, as if viewed from behind a great “glass pane.” It is a tangible world made up of discrete, quantifiable material “objects” interacting together with a great regularity and order through lineal time, devoid of any spiritual animation or significance. It is a world made knowable and verifiable through deductive and inductive tests of logic and empirical observation, and of experimentation, all of which can be measured in terms of reliability and validity. In the world of science, systematic analysis of dependent and independent variables, anticipatory predictions of cause and effect, explanations, axioms and theories of things are proposed, and experimentations and manipulations of the physical world can all be attempted and made. The classical Western scientific method results. all of which is framed in a tone of “organized skepticism” (nothing is accepted on faith, everything questioned). Note. While the foundations of the scientific method are anchored to the philosophical discourse of Pythagoras, Aristotle, René Descartes, and John Locke, along with others, there are challenges to an understanding of a reality based upon dualism and reducible to material objects. These challenges have come from theories such as "monism, "idealism," and "process philosophy," this later argued by such theorists as Alfred North Whitehead and David Ray Griffin, among others. Process philosophy advocates an understanding of reality as process, change, and "becoming," built upon interrelationships, . . . perhaps more akin to hnkhwelkhwlnet? These philosophical postulations have found little expression in standard applications of the scientific method. 4. Background Biology and Ecology of Sagittaria latifolia. The following offers some introductory information on the biology and ecology associated with Sagittaria latifolia. Biological Description. Sagittaria latifolia is a plant found in shallow wetlands and is sometimes known as broadleaf arrowhead, duck-potato, Indian potato, or wapato, and by the Schitsu’umsh, sqigwts. This plant produces edible tubers that were extensively used by the Indigenous peoples of the Americas, and an integral and culturally revered food source by the Schitsu’umsh (Coeur d’Alene). Sagittaria latifolia is a variable-sized (0.5 to 2 meters in length) perennial growing in colonies that can cover large amounts of ground. In addition to Sagittaria latifolia, another species of Sagittaria is likely found in Lake Coeur d’Alene, Sagittaria cuneata. The roots are white and thin, producing white tubers covered with a purplish skin a good distance (0.3 to 1 m long, 0.15 to 0.6 meter deep) from the mother plant. It is green and white. The underground stem (rhizome) produces tubers (“potatoes”) ranging in size from a marble to about half the size of a person’s fist. The plant produces rosette of leaves and an inflorescence on a long rigid scape. The leaves are extremely variable, from very thin at 1 to 2 cm to wedge shaped like those of Sagittaria cuneata. Spongy and solid, the leaves have parallel venation meeting in the middle and the extremities. The inflorescence is a raceme composed of large flowers whorled by threes. Usually divided into female flowers on the lower part and male on the upper, although dioecious individuals are also found. Three round, white petals and three very short curved, dark green sepals. Male flowers are easily distinguished from female due to the dissimilarity between the 25 to 50 yellow stamens of the male and the sphere of green carpels of the female ones. Ecological Context: Extremely frequent as an emergent plant, broadleaf arrowhead forms dense colonies on very wet soils that become more open as the species mixes with other species of deeper water levels. These colonies form long bands following the curves of rivers, ponds and lakes, well-marked by the dark green color of the leaves. The plant has strong roots and can survive through wide variations of the water level, slow currents and waves. It displays an affinity for high levels of phosphates and hard waters. Ducks and many other waterfowl and songbirds and wading birds eat the seeds, and muskrat and porcupine are known to eat the tubers. The emergent foliage of this species provides cover to the same animals in addition to fish and aquatic insects. During the growing season notable amounts of nutrients and metals are extracted from the water by the water potato. Stirring up of the sediments and erosion is reduced greatly by a healthy stand of water potato (USDA-NRCS, Plant Fact Sheet 2002). 5. Climate Change Projections. John Abatzoglou, a geography professor with the University of Idaho, has extensively researched climate projections for the northwest of the United States. He has found that the overall shift in climate change will be toward much warmer conditions and a slight increase in winter precipitation (personal communication with Frey, July 2015). While the models are what he calls “bullish and very confident” in their projections of an annual average warming of 2-5 degrees Celsius, or 3.6-9 degrees Fahrenheit, by the mid-21st century, there is a lot more uncertainty in precipitation. Some models suggest an annual increase of up to 10%, while a few other models show minuscule declines in annual precipitation of a few percent. Most models suggest a slightly drier summer, however. In the grand scheme, Abatzoglou continues, a slight overall increase in precipitation will help buffer water stress due to warming. Collectively, the projections call for no significant change in annual runoff, but a big change in when that water runs off. The reduction in mountain snowpack will mean that more runoff will occur in late winter and spring, rather than mainly in late spring and summer due to melting snow as it has historically done. It would be similar to the 2015 runoff that came much earlier in the year as less precipitation fell as snow in our mountains and what snow did accumulate began melting in late winter. This in combination with projections calling for warmer and slightly drier conditions during the summer will result in severe water stress during the summer and fall throughout the northwest. So we’ll experience warmer, somewhat drier summers, and less cold winters, with some of the snowpack replaced by rain. While there are many ecological-climate factors to consider in our projections, the impact of these temperature and precipitation changes on the wetlands of Lake Coeur d’Alene and thus on Sagittaria latifolia would be significant, if it weren’t partially moderated, but even perhaps exacerbated, by one additional man-made factor. As we know, the lake’s spring and summer water levels are controlled by the Post Falls Dam, located near the lake’s outlet into the Spokane River. The dam was built in 1906, providing hydroelectricity, as well as irrigation waters for the orchards of the Spokane valley. Today it also serves to provide recreational opportunities throughout the lake basin. During the winter, the lake levels actually fluctuate naturally and widely given the downstream flows from the St. Joe and Coeur d’Alene rivers, which feed the lake. But by summer and the recreational season, the lake’s level is held at around 650 meters or slightly above 2,128 feet above sea level, controlled by the dam. At this time, little electricity is generated. Then in the fall, the dam regulates a drawdown of the lake, typically lowering it by roughly 2 meters, or around 6 feet, and hydroelectric power is again provided. And come October, the wetlands are turned to mud fields, and Sagittaria latifolia is accessible for digging. There will be significant changes occurring in the surrounding lake ecosystems, from the mountainous forests above the lake, to the prairie lands surrounding the lake. But much of the water requirements of the riparian flora and fauna zone of Lake Coeur d’Alene will likely be buffered from the effects of climate change by the Post Falls Dam, at least in the near future. Even if lake water levels drop, the water potato will migrate, with the help of the numerous creatures that interact with it, such as the muskrat, to wherever it can find suitable wet soil. In this sense the Sagittaria latifolia is not likely at risk. But what we must watch for is the warming of those waters, and those effects on the ecology of the riparian zone and the effects on Sagittaria latifolia. We are not certain. The stream and river flows and the lake itself will have increased temperature levels during the summer and fall. With summer lake waters held at a constant level by the dam, in essence creating slackwater, the lake will actually warm even further given absorption of extra solar radiation. With warming lake waters, that will mean less oxygen in the water, called anoxia, which in turn affects how the sediment behaves. This may cause the toxic mining waste deposited from the last century, now embedded in lake's northern sediments above where the Coeur d'Alene River enters the lake, to become re-suspended in the waters. In addition, invasive aquatic weeds, such as milfoil, will become more prevalent. We will need to closely monitor these temperature changes, and their effects on the dynamics of the flora and fauna of wetlands. In Lake Coeur d’Alene and its tributary rivers, the native cutthroat trout will be among those stressed, while their warm-water relatives, such as bass and pike, will thrive in the warmer waters. In the surrounding prairies, the camas found in semi-wet locations will also be among those stressed, while the bitterroot may thrive in the drier lands. 6. Learning Activity: Data Gathering. For a printable copy of the Learning Activity - Science.pdf. There are a number of activities involving the gathering of data related to Sagittaria latifolia, that are standard scientific procedures and practices, one of which will be suggested here. As a science instructor, there may be other learning activities you have developed that can be applied to the water potato or another plant you might want your students to learn about. In all these activities it is important to have student record their observations in a clear and precise manner, using a standard and agreed upon unit of measurement, such as a metric system. It is important to make sure the results of your student's observations can be compared with the standard units of measurement used by the scientific community. Also insure that your students are recording their findings on a format that is stable and accessible for future referencing. Students in the future will need to access and understand the design of your collected data. Keep logs and record data on a secure computer drive. Before initiating any data gathering of Sagittaria latifolia you must secure permission from the appropriate land owner, if private land, or state or federal agency, if public land. In the instance of the southern third of Lake Coeur d'Alene, it is under the jurisdiction of the Coeur d'Alene Tribe and permission from the appropriate department needs to be secured before data collecting. One very insightful observation will be to measure the water content of water potato leaves, along an environmental gradient, from the driest site to the wettest site. To measure the water content students would collect the sample leaves and weigh them. Leaves would be the best item of the plant to collect. Take a few close to shore and a few deeper in the lake's water. But your sample size need not be large, removing only a few representative leaves within a colony. Do not take so many that it might injure the plant. We must respect the plant we seek to learn so much from. Keep the sample fresh, without transporting them in added water. Also note the nature of associated riparian flora and fauna. What other plants are growing in association? What other animals and fowl might be observed associated with the colonies of water potato? Note the presence or absence of typical and expected flora and fauna. What time of the day are these observations being made? Also note the temperature in both in the air and in the water. And observe any other natural or man-made factors in the area within which the leaves are collected. The day of being collected, place them in an oven at 60C overnight and then weigh them again the next day, i.e., their dry weight. The formula for calculating water content is water content = (fresh weight - dry weight) / dry weight. You can express the findings as grams of water per grams of dry leaf tissue. Record the date and location of the sample, and the water content findings. Leaves can be collected from various locations along the lake, comparing size of the leaves with their water content. It may be observed that some of the colonies of water potato have larger leaves, when compared with other locations. Is there also a water content difference? Please note that the areas where water potato grow along the lateral lakes linked to the Coeur d'Alene River have had over 100 years of mining pollutant contaminants added to these ecosystems. It is not only not advised to eat these tubers, but not to enter the waters and collect their leaves. Leaves can be collected at different times of the year, recording their water content. Leaves can be collected from year-to-year, recording their water content and any changes. When conducting annual data collecting, be sure to align the activity with the date, time and location of previous collections. If the tubers of the associated collected and recorded leaves are also gathering in October, noting their size and shape. With the water content measurements collected and recorded, you are now ready to provide analysis of the data. Compare the leaves from wetter sites with those less wet, compare larger leafed water potato with smaller leafed plants, and compare water content from leaves collected one year with leaves collected at the same site but a year or two later. Over many years, can any trends be charted? Compare the flora and fauna data of the sites and dates collected. Are there any changes? Given the range and types of data collected annually, and the observed changes over a number of years, all understood as dependent variables, can the students identify and suggest any independent variables that might be contributing to these changes? Have the students develop their own theories for any changes, each well-grounded in the empirical data they have been gathering. Have the students conduct a literature search on related theories and their relevance to their findings and theorizing. Based upon the data gathered and the analysis made, have the students suggest strategies to help preserve and perpetuate the health of Sagittaria latifolia. Who should be contacted and consulted with to help with any implementation plans for water potato? The research efforts of your students should be applied back to help benefit Sagittaria latifolia and those who revere and rely upon it. 8. State of Idaho High School Content Standards: Natural Science. Under Standard 1: "Nature of Science," six goals from the State of Idaho Science End-of-Course (EOC) Biology Content Standards are suggested for consideration and use for this curriculum. For a printable copy of Idaho Content Standards - Science.pdf.